Home → News → Free Activities During the Whole Month of April! April is Kingston Gets Active Month! There are lots of FREE activities for every age during the entire month of April. Look for the ‘family symbol’ indicating activities open to the whole family. Free activities include hiking, swimming, boxing, fencing, DancePlay, martial arts, skating, fitness classes, tennis, ringette, open houses, community events and more! Try something new & get active every day. 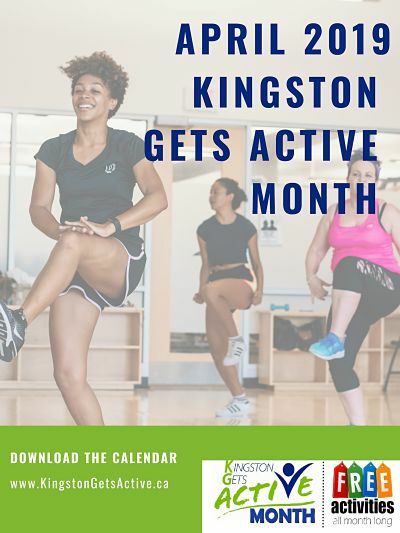 Download the April 2019 Kingston Gets Active Month Calendar. Some activities require RSVPs, so check before you go. Check the Kingston Gets Active Month webpage or Facebook page for more information.